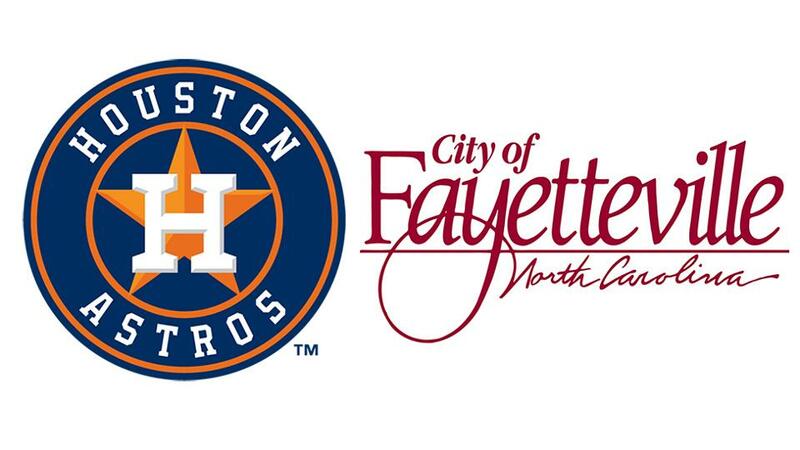 FAYETTEVILLE, N.C. -- The Houston Astros and the City of Fayetteville, North Carolina, have signed a 30-year lease agreement, which will move the club's Class A Advanced affiliate to Fayetteville for the 2019 season and beyond. The lease was officially signed today in Fayetteville, with Astros Team President Reid Ryan, Buies Creek and Fayetteville General Manager David Lane, Fayetteville Mayor Nat Robertson and Carolina League President John Hopkins taking part in the ceremonies. "The Astros are excited to be affiliated with the City of Fayetteville. It's a city with rich history, friendly people and a background in baseball," said Ryan. "This agreement will be part of a dynamic revitalization of downtown Fayetteville, which will bring great crowds and a Major League environment for our players to develop. Player development is a huge part of the Astros success and Fayetteville will be a home for the club's top prospects as they make their way to the Major Leagues." "Thanks to the Houston Astros and the hard work of City Council and staff, big things are about to happen for Fayetteville," said Robertson. "I'm very proud to lead this renaissance that will bring about a quarter million people to our downtown for approximately 70 games a year, in addition to all of the new events and the new splash pad that will be housed in the stadium. The new stadium will serve as an economic development catalyst for the downtown area and Fayetteville as a whole." Earlier this offseason, the Astros announced a temporary agreement with Buies Creek, N.C., and Campbell University, which will play host to the Buies Creek Astros of the Carolina League for the 2017-18 seasons. Following 2018, the franchise will move to downtown Fayetteville, just a stone's throw from Fayetteville City Hall. The club will be rebranded in time for the move, with announcements on the rebranding efforts being released at a later date. This agreement will bring affiliated minor league baseball back to Fayetteville for the first time since 1998, when the Detroit Tigers were affiliated with the Fayetteville Generals of the Class A South Atlantic League.